Whilst Filtermist UK was busy manning two stands at MACH 2016, the companys Managing Director James Stansfield was over in Shanghai supporting Filtermists Chinese distributor at CCMT. James returned to the UK on Friday and immediately made his way to MACH, the leading biennial UK show hosted by the Manufacturing Technologies Association (MTA), which was taking place at the NEC. He comments, It was really interesting to arrive at MACH fresh from CCMT in China and be able to compare the two shows. Both were very busy and generated a number of quality enquiries about our products; the main difference being the size and exhibitor profiles. CCMT occupied 10 halls where a huge number of Chinese machine tool manufacturers exhibited alongside international companies. Established in Shropshire in 1969, Filtermists customers include many of the Worlds leading automotive, aerospace and machine tool manufacturers who all trust Filtermist oil mist filters to remove harmful airborne particulates from the air in their workshops. James continues, An increasing focus on air quality in China, coupled with the introduction of new legislation aimed at reducing pollution, means Chinese manufacturers are more inclined to invest in quality equipment that will protect their workers and help them to meet government regulations. Whilst export is a key focus for Filtermist, the UK still remains a significant market - accounting for more than 40% of 2015 sales. Filtermist occupied a 30sq mtr stand at MACH to showcase how its products and services help to ensure cleaner, safer, more productive workshops and it has already booked a larger space at the 2018 show. 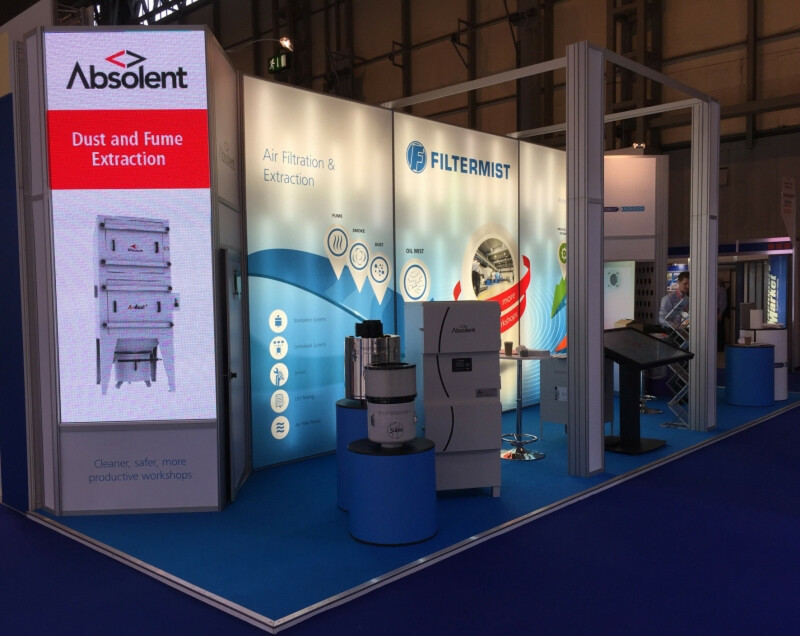 Filtermists attendance at MACH was further enhanced by the presence of its oil mist filters on a number of other stands at the Birmingham show. Customers including ETG, Haas, Hurco, MecWash and Mills CNC all used Filtermist units on their machines, resulting in valuable additional visibility for Filtermist. Stuart Plimmer, Filtermists Director of Sales, said, It always makes us very proud to see our products included on other stands and is testimony to the partnerships we have with a number of machine tool manufacturers and their distributors. Find out more about all of the products and services offered by Filtermist in the UK by visiting www.filtermist.co.uk or calling 01952 290500.